AMSTERDAM - Despite progress being made in treatment that enables people living with HIV to work, they continue to face discrimination when seeking employment and as they try to keep their jobs and progress in their careers, says a new study launched by the ILO and the Global Network of People Living with HIV (GNP+). The report, HIV Stigma and Discrimination in the World of Work: Findings from the People Living with HIV Stigma Index , is based on surveys carried out by 13 country teams throughout the world. Interviews were carried out with more than 100,000 people living with HIV. It was presented during the biennial International AIDS Conference “AIDS 2018” , the largest conference on any global health or development issue in the world, taking place in Amsterdam from 23-27 July. A large proportion of people living with HIV are unemployed, ranging from 7 per cent of those surveyed in Uganda to 61 per cent in Honduras. Ten out of 13 countries recorded unemployment rates among respondents at 30 per cent or higher. Young people living with HIV had a much higher unemployment rate, ranging from 11 per cent in South Korea to 61 per cent in Greece, with some countries recording over 50 per cent unemployment for young persons: Timor-Leste (50 per cent), Fiji (56 per cent), Greece (61 per cent), and Honduras (60 per cent). Women living with HIV are less likely to be employed than men living with HIV because of unpaid care responsibilities. In all countries, unemployment amongst transgender people living with HIV remained high. The lack of an independent income among women is also high, meaning that women living with HIV do not enjoy economic autonomy to the same extent as their male counterparts. Another key finding is that many people continue to lose their jobs in part or fully as a result of their HIV status. The proportion of people who had been working but had lost a job or sources of income as a result of discrimination by employers or co-workers ranged from 13 per cent in Fiji to 100 per cent of those surveyed in Timor-Leste. It was also high in Belize (86 per cent), Nicaragua (67 per cent), Greece (80 per cent) and Costa Rica (53 per cent). Similarly, HIV-related discrimination remains a major cause for not receiving job promotions. “What this report shows is that we still have a long way to go in our efforts to combat workplace related stigma and discrimination against people living with HIV. Access to healthcare and access to employment are inextricably linked and as such a meaningful commitment towards stemming the epidemic and securing the wellbeing of all people living with HIV cannot be met without prioritizing ending HIV stigma in the workplace,” said Sasha Volgina, GNP+ Programme Manager. “People living with HIV have a right to work and no one should deny them that." The brief includes several recommendations, including a call to governments and international agencies to increase efforts to adhere to ILO Recommendation and the World of Work, 2010 (No.200), relating to access to full and productive employment and decent work for people living with HIV. “It is sad to see that despite years of work, stigma and discrimination still persist. The latest ILO report – Impact of HIV and AIDS on the World of Work: Global Estimates – showed that AIDS treatment is keeping workers healthy and productive. But treatment alone is not sufficient. We must work harder to reduce stigma and discrimination for people living with HIV at workplaces. They have a right to work and no one should deny them that,” said Shauna Olney, Chief of the ILO’s Gender, Equality and Diversity and ILOAIDS Branch, who spoke at the launch of the study in Amsterdam. 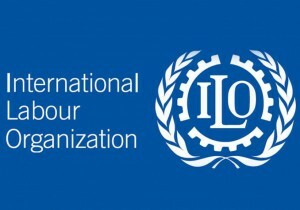 “ILO Recommendation No. 200 offers useful guidance to all stakeholders on protecting human rights at work and puts in place the necessary measures to eliminate stigma and discrimination at workplaces,” she concluded.